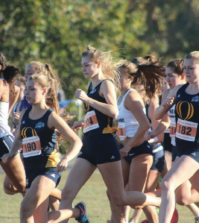 The Quinnipiac men’s and women’s cross country team competed in the 38th annual Paul Short Invitational at Lehigh University on Friday. The women’s team placed 25th out of 45 teams in the 6,000-meter race. The Bobcats were led by Rebecca White who placed 55th overall with a time of 21:35. 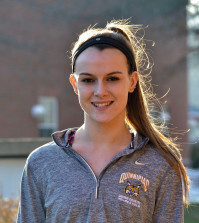 Sophomore Amanda Faust finished second for the Bobcats, and 151st overall with a time of 22:44 and Brianna Faust crossed the finish line in 22:49 coming in 160th place. The men’s team finished with 761 points in the 8,000-meter race, while first place team Iona College finished with 125. Junior Richard Stoliker crossed the finish line first for the Bobcats and 58th overall with a time of 26:39. 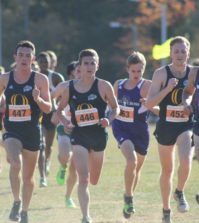 Freshman Spencer Mannion placed second for the Bobcats and 89th overall. Mannion crossed the finish line at 26:56. Senior John Healy came in third place for the Bobcats with a time of 27:07. The Bobcats will travel Saturday to Franklin Park in Boston to compete in the New England Championship.